If you're in the market for a new truck, you have to come down and see what we have to offer you. Our dealership in Albuquerque NM offers the 2019 RAM 1500 for you to review. Our dealership is ready to provide you with some incredible deals, but you have to give us a call and see us. This vehicle comes with more interior room than ever before, smart storage solutions and a host of options that are designed to help you get more from your vehicle. We will work hard to help you get the best vehicle for your needs so come down and see us today to find out how we can help you. Come down to our Melloy Dodge dealership to get a great deal on your next vehicle purchase. Tons of option groups are available, including an advanced safety group, bed utility group, black appearance package, max tow package and many more options. Automatic headlamps come as standard equipment to help you stay safer when driving at night. You'll also get automatic high beam control to ensure that you never blind oncoming drivers when riding on backcountry roads. The vehicle uses bi-function LED headlights for a clear view of the road and you'll love the fog lamps that help you stay more visible in all kinds of road conditions. This vehicle is designed to provide you with more utility as well. Get to know the exterior LED bed lighting and the overhead LED lights that help you see more clearly what you're doing in all sorts of conditions. Our dealership in Albuquerque NM offers the 2019 RAM 1500 for you to review. Come down to our Melloy Dodge dealership to get a great deal on your next vehicle purchase. Four-way front headrests are designed to help you maintain a higher level of comfort and your drive. This vehicle is also designed to provide you with a host of safety features that will give you an outstanding level of power and control. When it comes to the bench seat configuration, you'll get a 40/20/40 rear split to give you more room for your passengers to enjoy the ride. Bucket seats give you a relaxed view and the high vantage point makes it easier for you to see what's coming down the road. A host of technology is designed to help you stay safe while communicating with friends. You'll also be able to listen to your favorite music for the best possible driving experience. Our Albuquerque truck dealership is ready to help you get a great deal on your next 2019 RAM truck. Give us a call, come down or go online to find out more about our offers on the 1500. One of the best things about this truck is the smooth 8-speed transmission that will have you traveling with ease. This transmission has smooth acceleration at all speeds, and you'll love how well it helps you get more accomplished on the road. There is also an electric shift-on-demand transfer case and a shift-on-the-fly transfer case for you to enjoy. 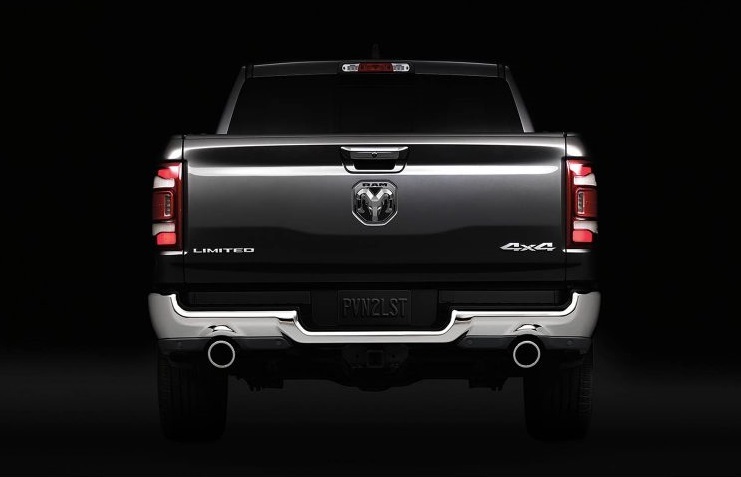 The truck uses smart anti-lock brakes and you'll love the ready-alert braking system that can help you stay safer. Coil springs are used on the front suspension and a 5-link rear suspension. Choose from two main engine types to help you get more control on the road. The 3.6-liter V6 engine provides suitable power for most everyday tasks, and it has enough towing power to carry along a trailer with all of your toys. Upgrade your towing capacity with a 5.7-liter HEMI engine that is designed to provide you with ultimate V8 power. It's also available in both a eTorque and standard configurations. 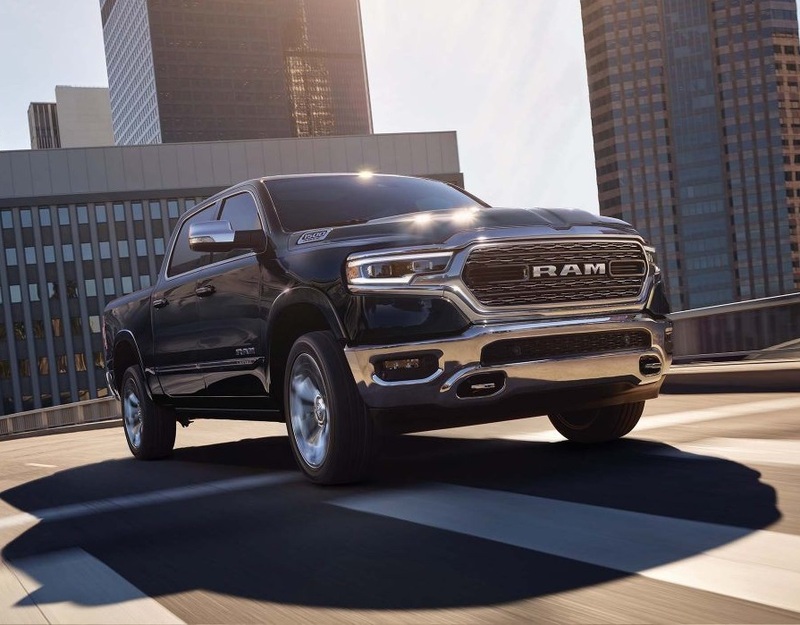 Our Albuquerque truck dealership is ready to help you get a great deal on your next 2019 RAM truck. Give us a call, come down or go online to find out more about our offers on the 1500. Our dealership in Albuquerque NM offers the 2019 RAM 1500 for you to review. Advanced multistage airbags are designed to deploy at the right level of force to help you better survive an accident with fewer injuries. You'l also get electronic roll mitigation to help keep the vehicle upright and driving with ease. The vehicle comes with electronic stability control, hill descent control and traction control for even more reliability. Give our dealership a call and you'll be able to find out about all of the most important safety features in a test drive of this incredible truck. We want to help you get more accomplished with a smart security alarm that will keep you safe while you focus on going about your life. Come down to our Melloy Dodge dealership to get a great deal on your next vehicle purchase. Our Albuquerque truck dealership is ready to help you get a great deal on your next 2019 RAM truck. We will work out the financing and options that will make it easier for you to get an incredible deal on your vehicle. We want to help you find the right financing and options that are designed to give you an incredible level of service and support. Give us a call, come down or go online to find out more about our offers on the 1500. Let us help you get behind the wheel of a vehicle you'll love.